This spacious penthouse is brought to the lettings market by Orchards of London. 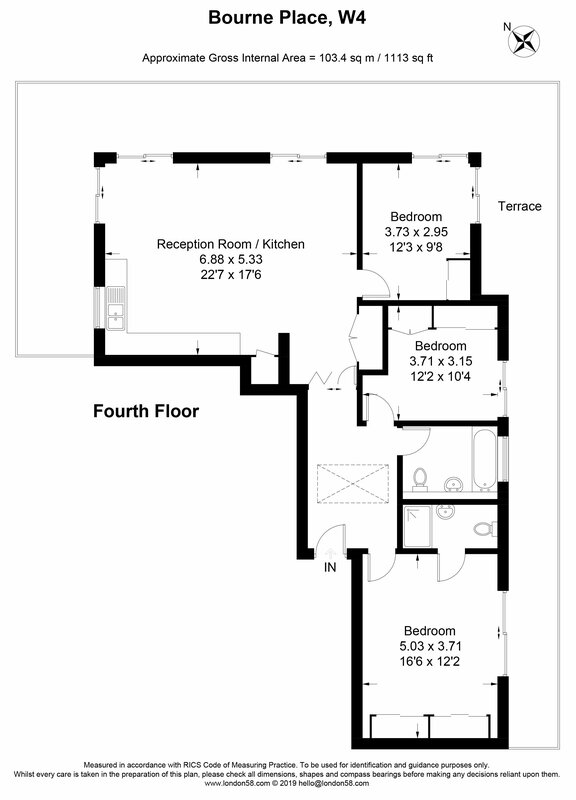 The property is located on the fourth floor and spans across 1,113 sq ft of living space and comprises of three well sized bedrooms, two bathrooms, one of which is an en-suite, a variety of storage space, a spacious integrated kitchen/diner and reception room. All the rooms have direct access to the private wrap-around roof terrace, the perfect venue for those upcoming summer soirees. The property is located superbly due to its close proximity to highly regarded local schooling, a vast variety of amenities, cafes, restaurants, independent retailers and much more that is on offer on Chiswick High Road. Commuters are able to get onto Chiswick Park (District line & Overground) or Turnham Green (Piccadilly & District lines) whilst motorists are near the M4.